Embrace Fun, Healthy, Messy Meal Time with Cerelac | Daddy O! Daddy O's at the Mix it Right! activity booth mixing Cerelac recipe with giant-sized ingredients at the gigantic delight red bow. 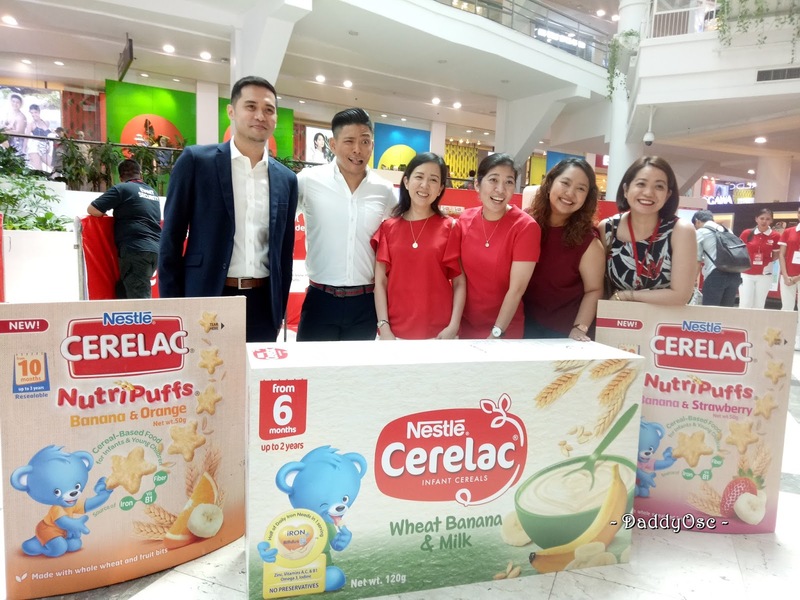 L-R: Kerbi Joseph Neri, Cerelac Consumer Marketing Manger Lead, Actor Drew Arellano, Arlene Tan Bantoto, Country Business Manager Nestle Infant Nutrition, and the staff of Cerelac Philippines. at the Glorietta 3 Activity Center for the Let's Eat, Bulilit! on April 28, 2018. Cerelac invites parents to discover a whole new world of taste and textures with their little ones at the Cerelac Let's Eat, Bulilit! event happening on April 28 to April 29, 2018 at the Glorietta 3 Activity Center. Headline by interactive learning games, life-sized installations, exiting promos and fun surprises, Cerelac teaches the joy of messy but health mealtimes with children finally joining the rest of the family at the big table. 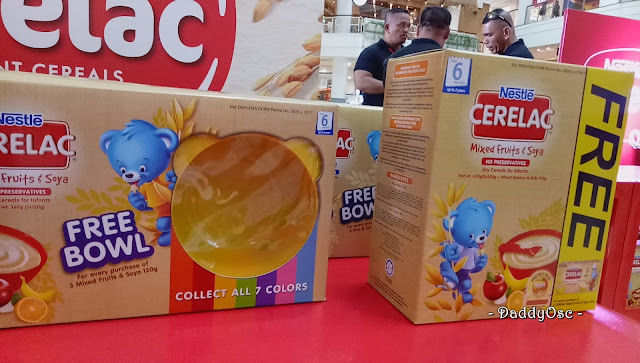 A way to introduce healthy foods to children is to pair fruits and veggies like broccoli, squash, sweet potato, and even chicken with an infant cereal like Cerelac. Unlike junk food that contain lots of calories but little nutritional value, Cerelac is a nutrient -dense food with no added preservatives. It also has Protected Plus, a combination of BIFIDUS BL for a health digestive system and DHA which is an important building block for brain and eye development for children up to three years of age..
Aside from Protect Plus, one bowl of Cerelac contains almost 1/3 of your child's daily energy requirement and is also a rich source of B Vitamins, Vitamins C, A and D, Iron, Zinc, Calcium, Phosphorus, Protein, Iodine and Folic Acid. 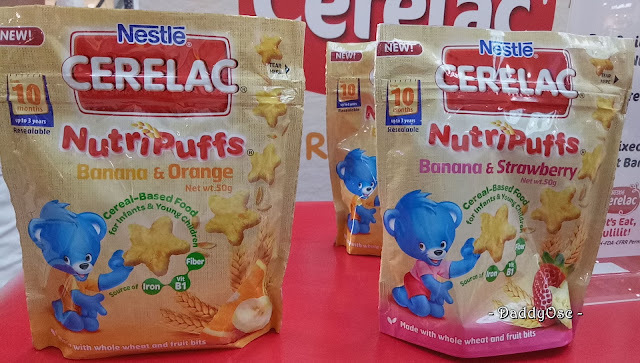 Served along with just water or mixed with sliced fruits and vegetables, Cerelac makes mealtimes more fun, nutritious, and memorable for both parents and their children. 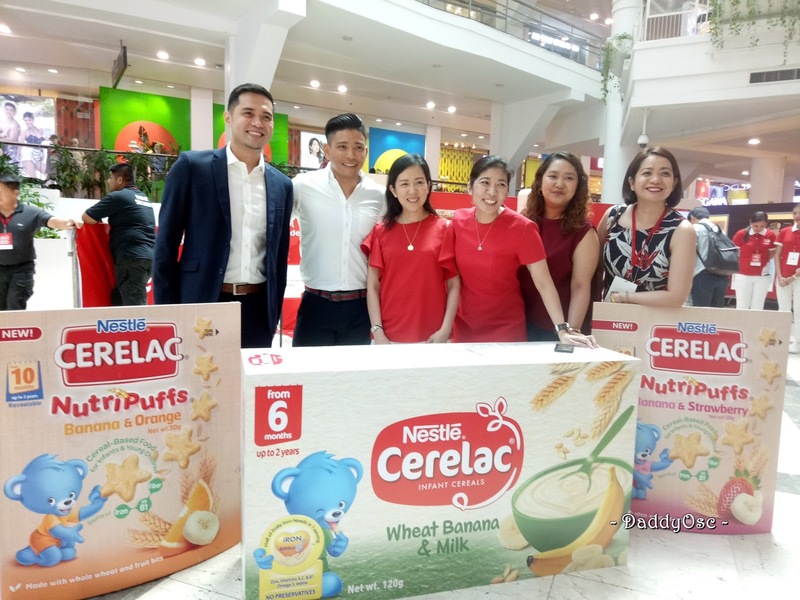 To take part in the Cereal Let's Eat, Bulilit! 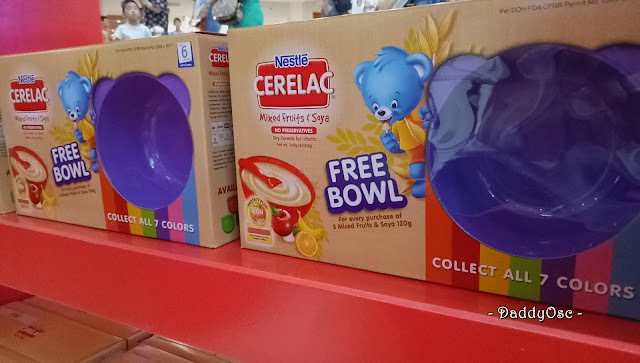 event festivities, one simple needs to buy one (1) 7g pack of Cerelac from the activity selling booth to get access for two,. 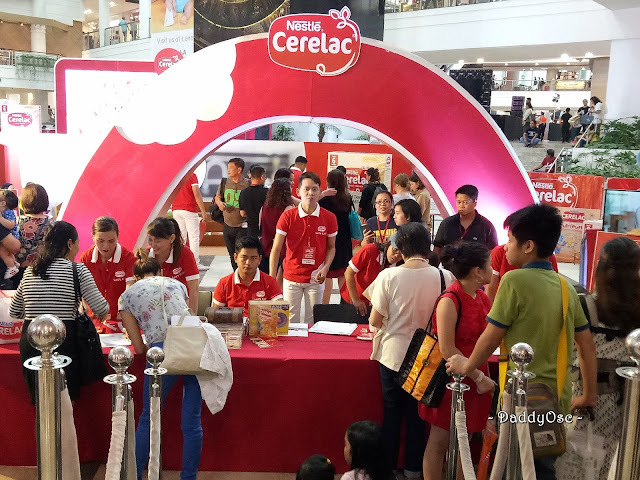 Inside, parents and their bulilits can know more about Cereleac nutritional benegits at the Bulilit Meal Maker, mix their favorite Cerelac recipe with gian-sized ingredients at the Cerelac Delight Bowls, and take Instagram-worthly shots of ther children stiitin on th ethemed dining areas at the Bulilit at the Bit Table. 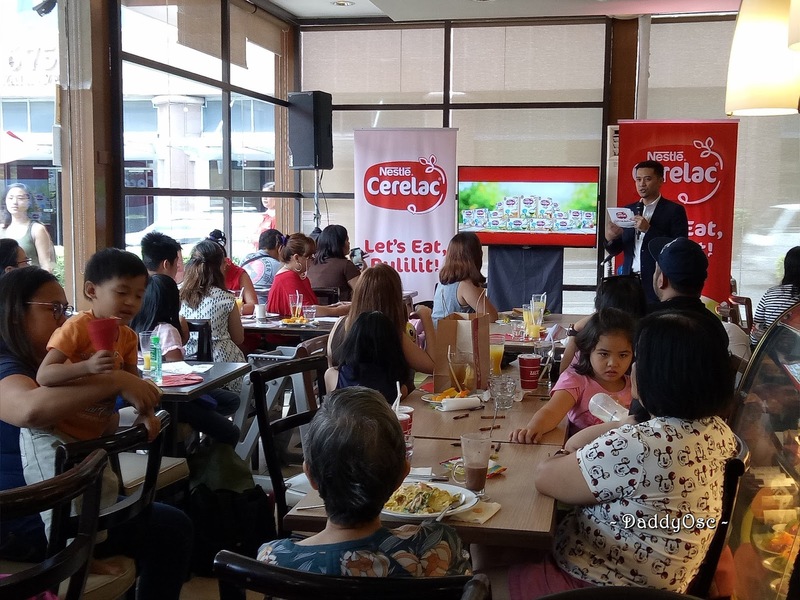 Watch the video of how Actor / TV host and first Da, Drew Arellano participated at the Cerelac Let's Eat, Bulilit activity area. "Let's Eat, Bulilit! is our way of helping parents foster stronger relationships with their little ones through messy but healthy mealtimes," said Kirby. 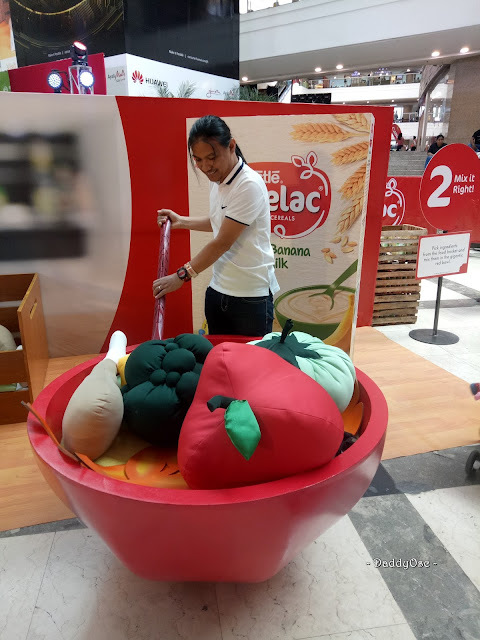 "With this event, we hope to teach moms and dads more about children's nutrition, complementary feeding, and more importantly, provide fun opportunities for bonding with their children.